We were fortunate enough to be given 4 tickets (thank you Feld Entertainment!) 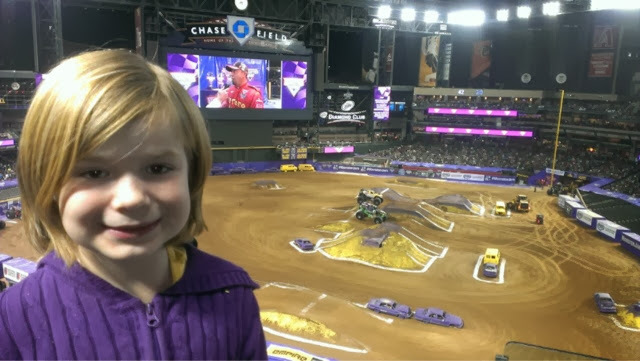 to the Monster Jam show that recently came to Chase Field in Phoenix. Bo took the kids, and they had a blast! I asked them to make a video review, and they were only too happy to oblige. 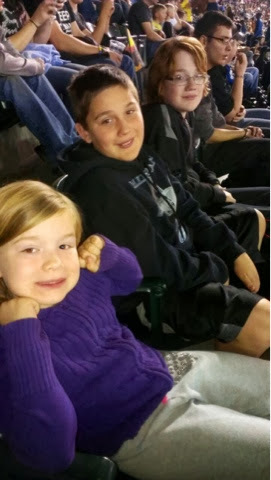 Nate is 11, Colin 13, and Lydia is 6. Nate and Lydia are the big car and truck lovers of my kids, but Colin still enjoyed himself. He looks a bit reserved, but remember -- he's 13! My husband said the place was packed, and everyone seemed to be having a great time. Tickets were sold out for the Phoenix show, and Chase Field is pretty big! As the kids noted in the review, it was VERY loud, but ear plugs helped dampen the noise. The show is still traveling the country, and based on the fun my kids had, I highly recommend going if you have the chance. 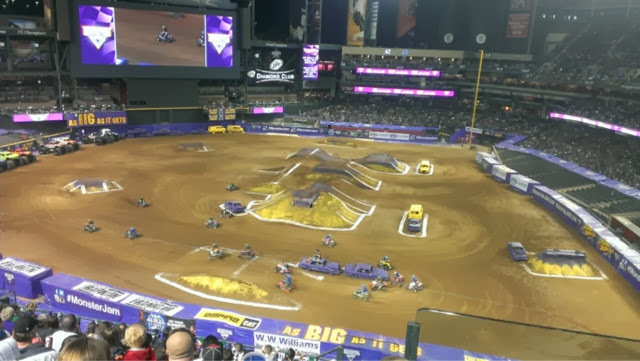 All the venues can be found at www.monsterjam.com. So Long, 2013 . . .